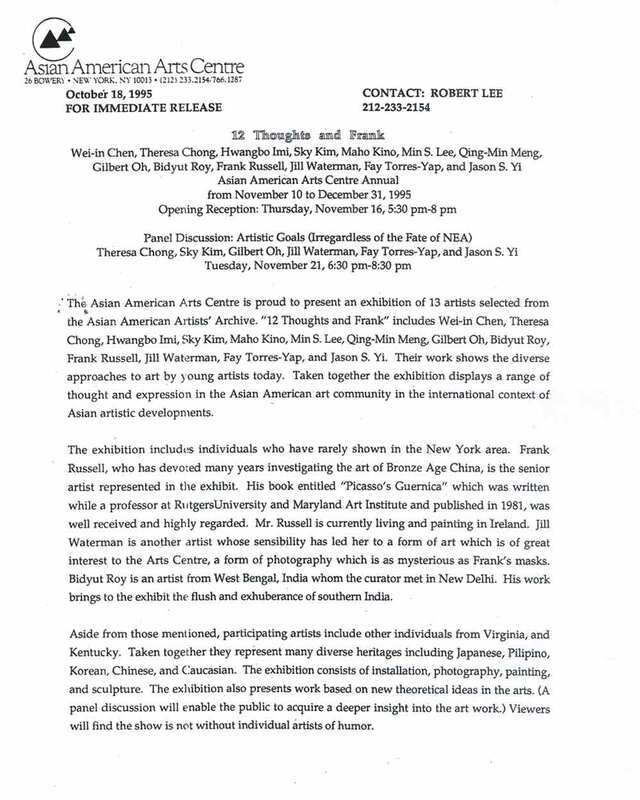 Exhibition flyer for "AAAC Annual: 12 Thoughts and Frank: A Selection of Artists from the Archive" at Asian American Arts Centre, New York City, from Nov. 10-Dec. 31, 1995, with artists Wei-in Chen, Theresa Chong, Hwangbo Imi, Sky Kim, Maho Kino, Min S. Lee, Qing Min Meng, Gilbert Oh, Bidyut Oh, Frank Russell, Jill Waterman, Fay Torres-Yap, Jason S. Yi. 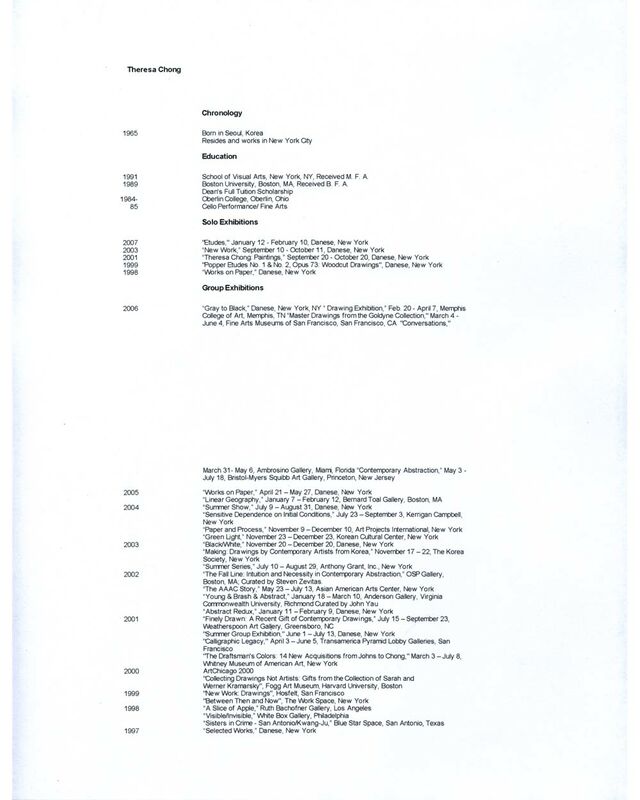 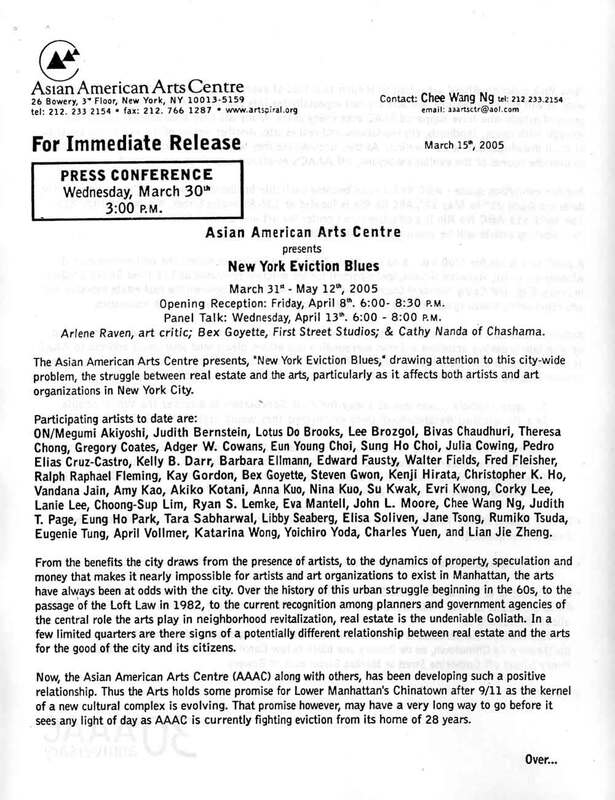 Exhibition press release for "AAAC Annual: 12 Thoughts and Frank: A Selection of Artists from the Archive" at Asian American Arts Centre, New York City, from Nov. 10-Dec. 31, 1995, with artists Wei-in Chen, Theresa Chong, Hwangbo Imi, Sky Kim, Maho Kino, Min S. Lee, Qing Min Meng, Gilbert Oh, Bidyut Oh, Frank Russell, Jill Waterman, Fay Torres-Yap, Jason S. Yi. 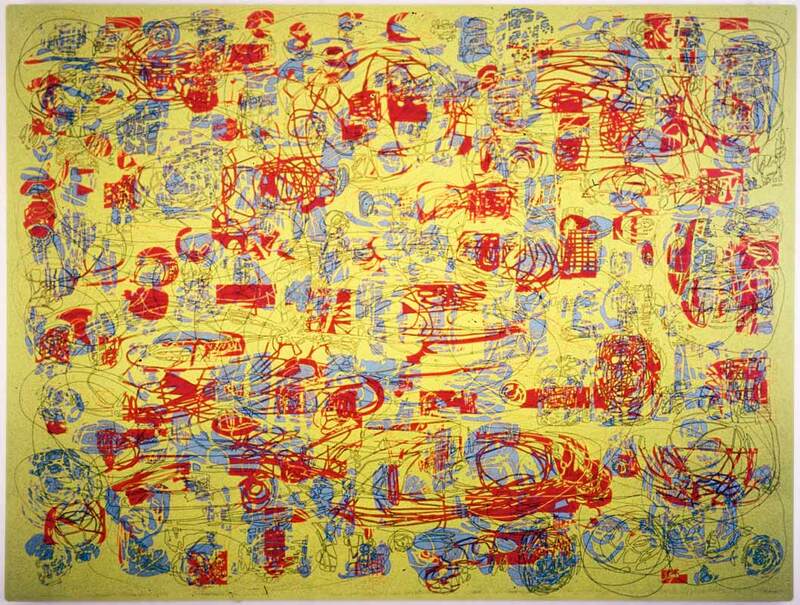 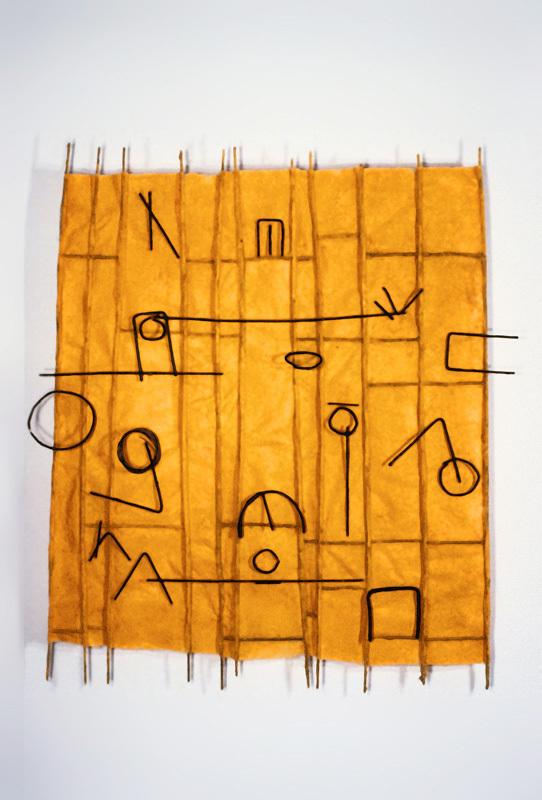 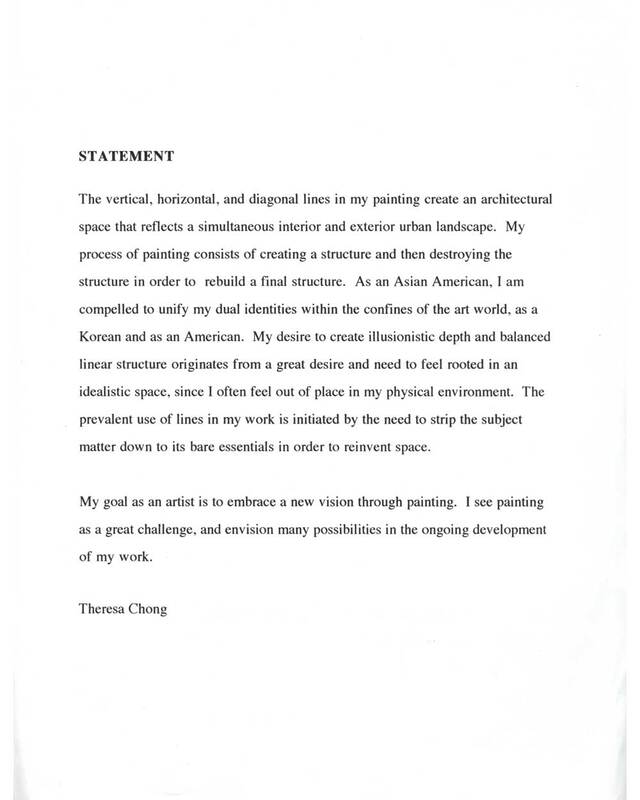 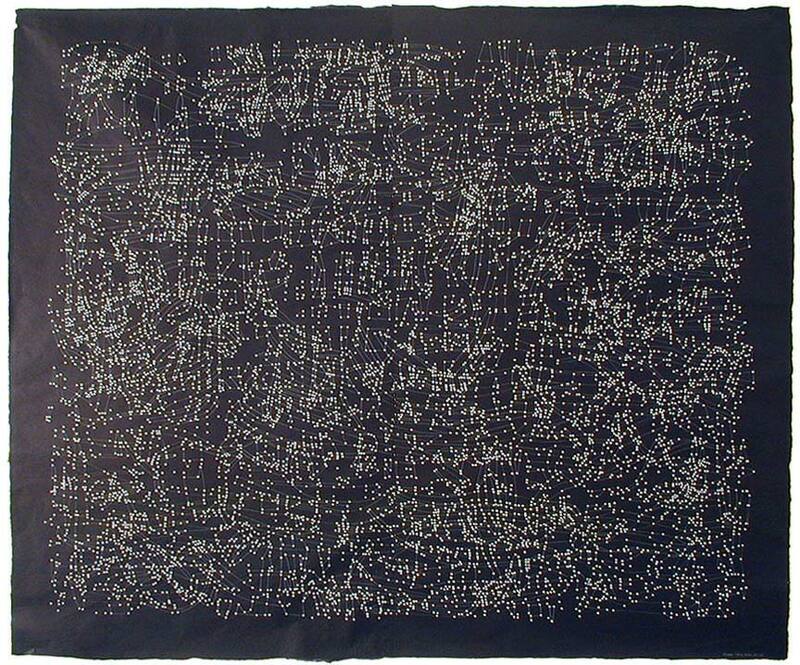 Excerpt from press release for "Theresa Chong: Works on Paper" at Danese Gallery, New York City, from Mar. 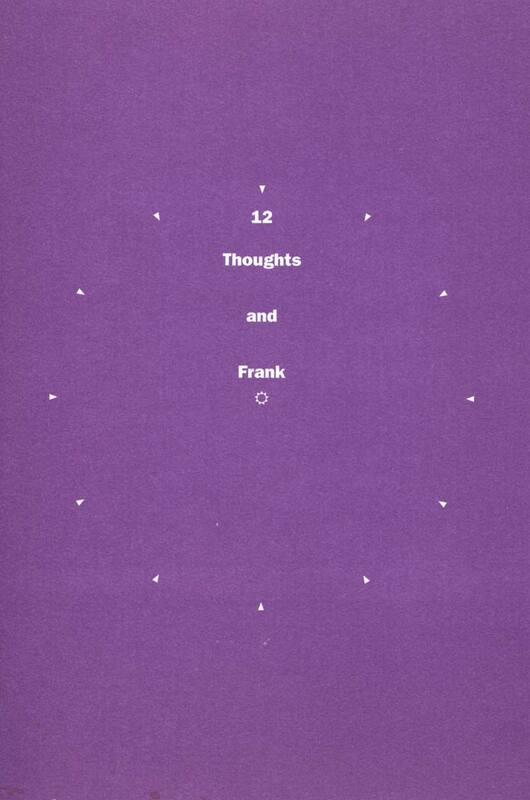 27-Apr. 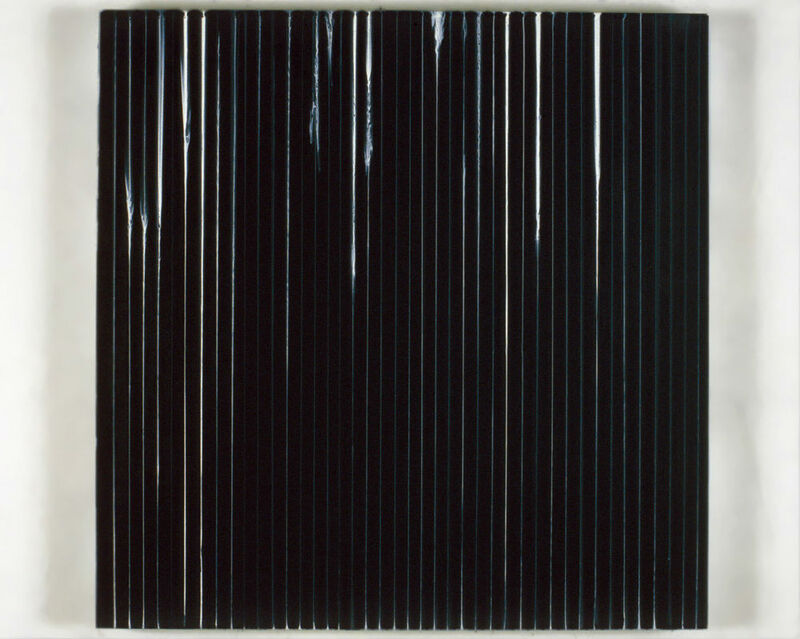 25, 1998. 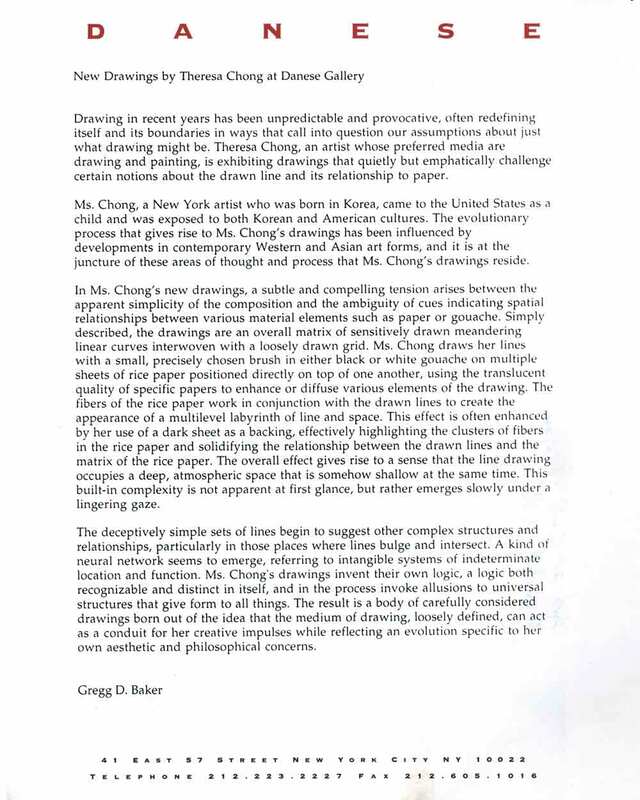 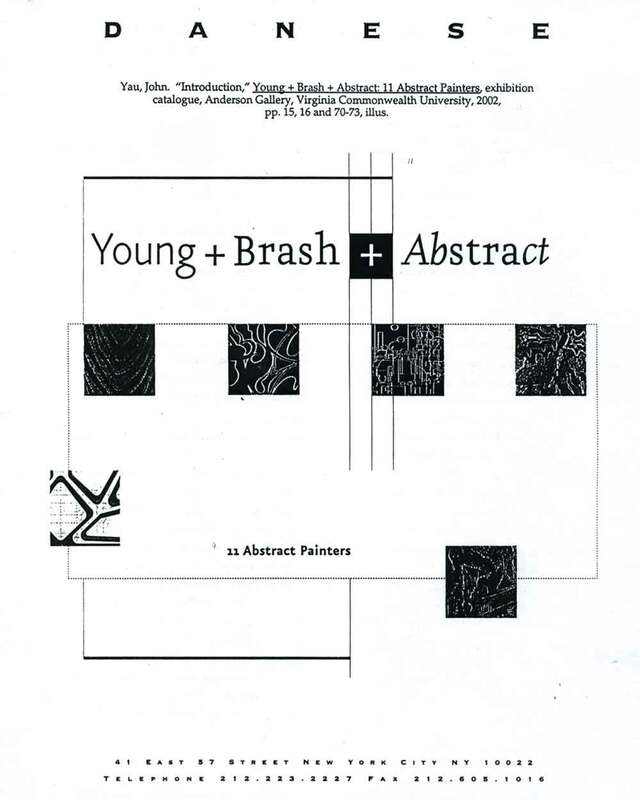 Essay by Gregg D. Baker. 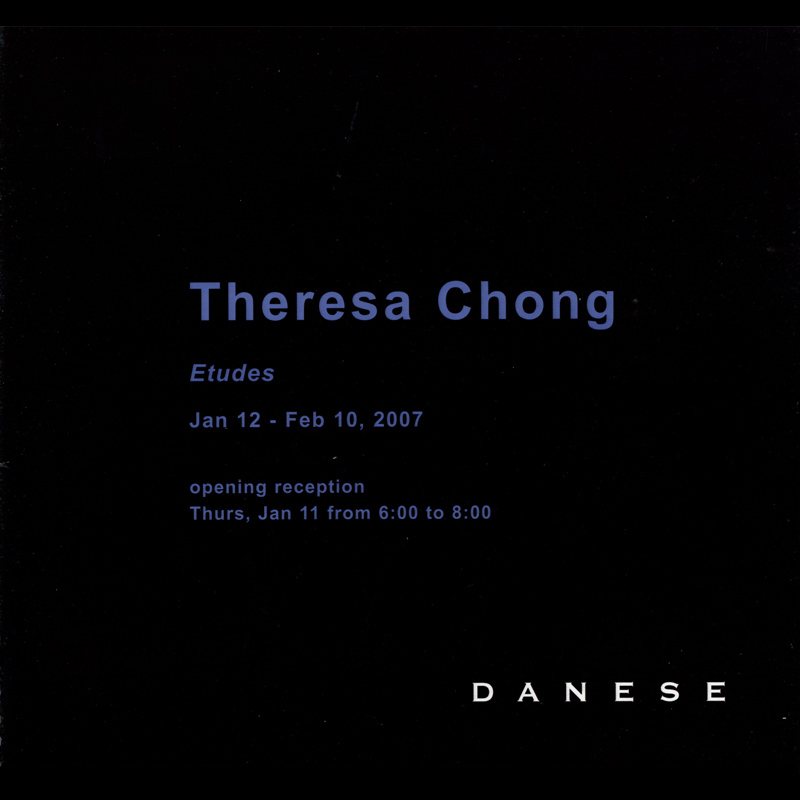 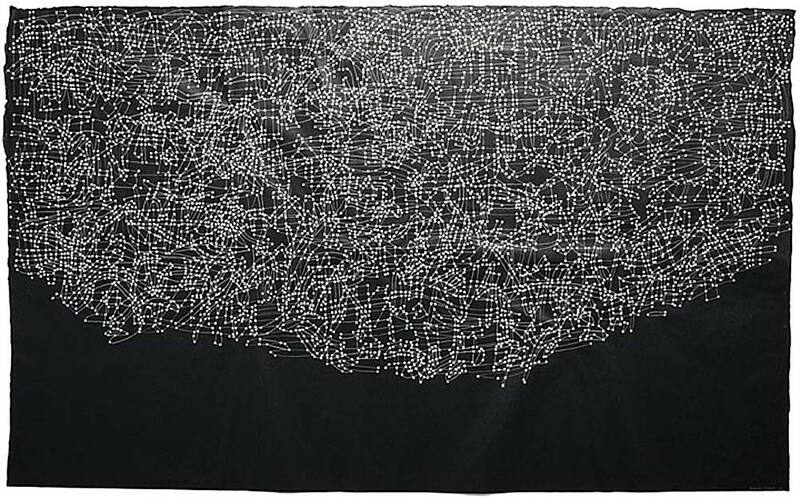 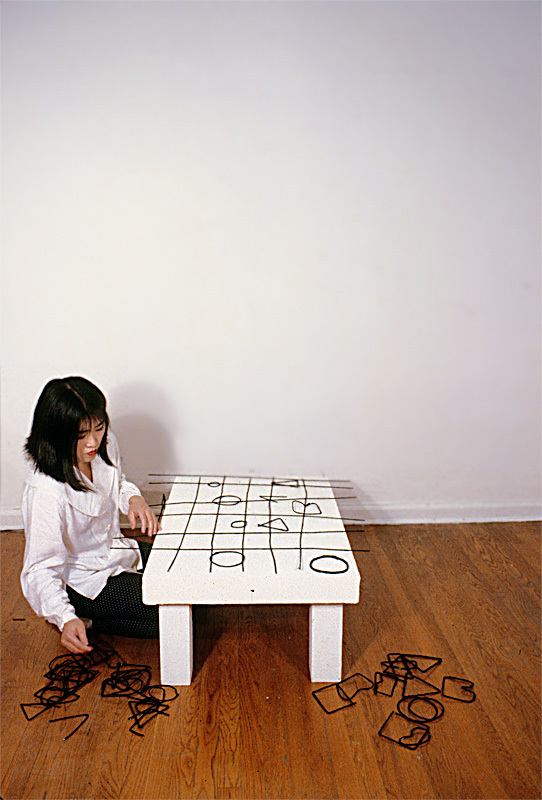 Exhibition catalog for "Theresa Chong: Etudes" at Danese Gallery, New York City, from Jan. 12-Feb. 10, 2007. 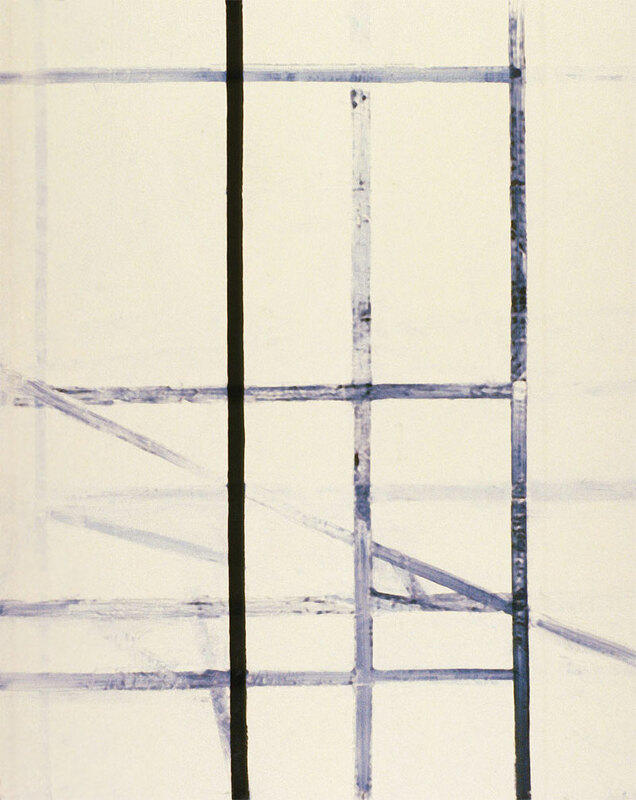 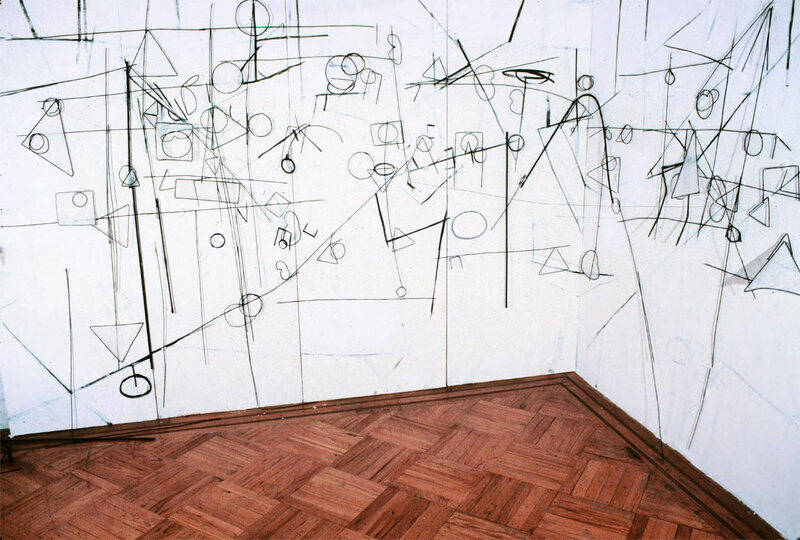 Excerpt prepared by Danese Gallery. 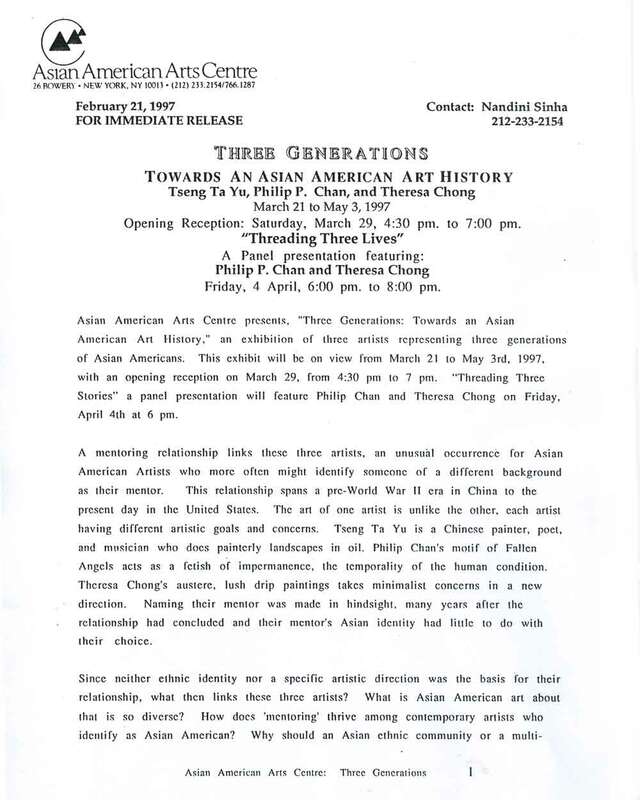 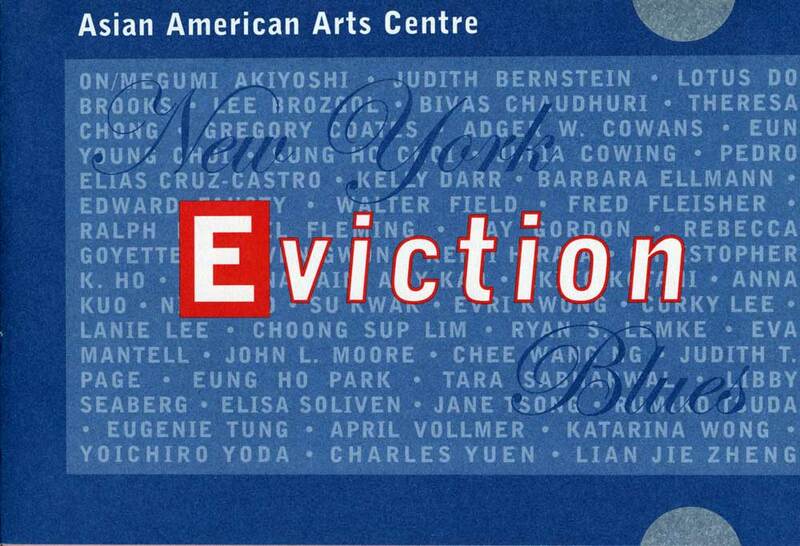 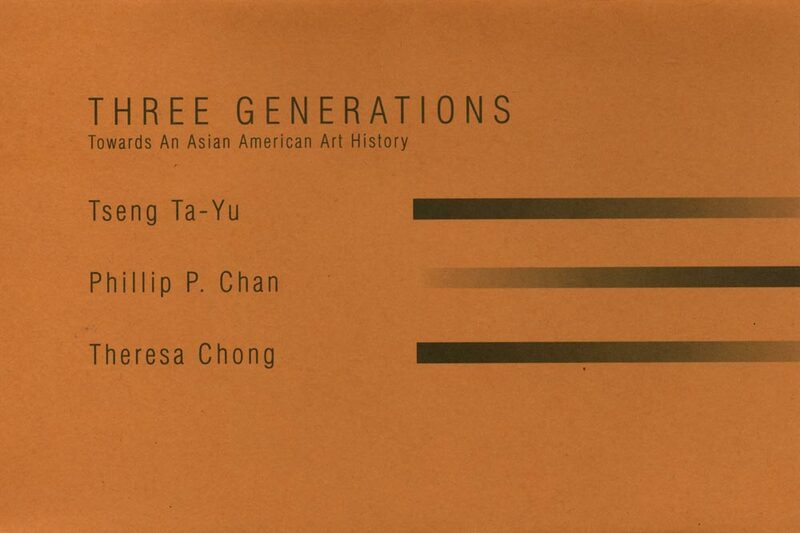 Exhibition flyer for "Three Generations: Towards An Asian American Art History" at Asian American Arts Centre, New York City, from Apr 3-May 17, 1997, with artists Tseng Ta-Yu, Phillip P. Chan, and Theresa Chong. 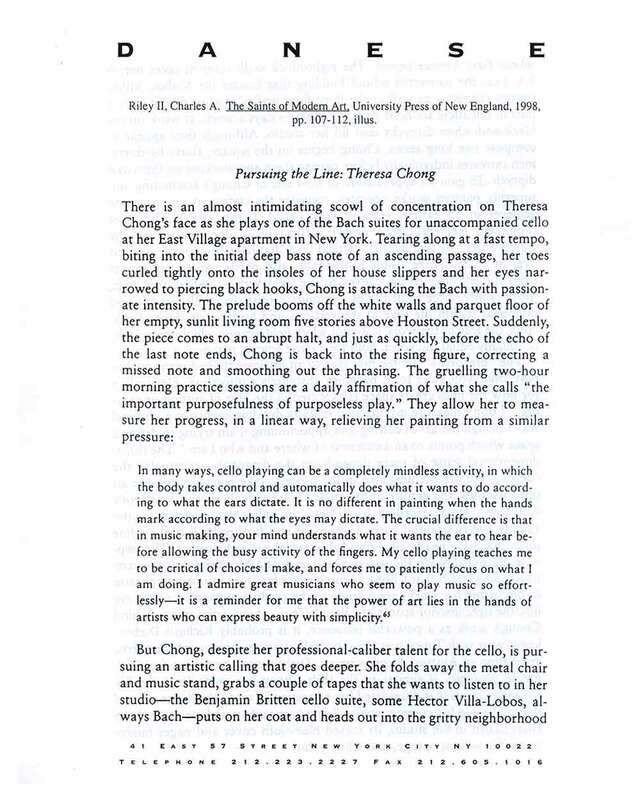 Texts by John Yau and Robert Lee.